Bobby J. "Bob" Cain, age 95, of Old Fields, WV, passed away on Tuesday, April 9, 2019 at his residence. Born on October 20, 1923 in Springfield, Missouri, he was the son of the late Robert B. Cain and Eliza Noblit Cain. In addition to his parents, he was preceded in death by his wife, Pauline "Polly" Cain in November 2011; and one brother. He is survived by two daughters, Pam Cain of Johnson City, TN, and Nancy Kramer and husband, Jeff of Lovettsville, VA; one son, Gerald “Jerry” Cain and partner, Andrea of Old Fields; six grandchildren; two great-great grandchildren; and his faithful canine companion, Anna. Bobby served in the U S Army during World War II and worked for the U.S. Department of State. He was a member of Duffey United Methodist Church; Moorefield Lions Club; Valley View Golf Club; American Legion Post 64 and life member of Denny-Moyers-Pratt VFW Post 9606 all of Moorefield, WV. He was very active in the Salvation Army and a 50-year member of the Ancient Free & Accepted Masons of Springfield, Missouri, United Lodge #5 AF&AM. 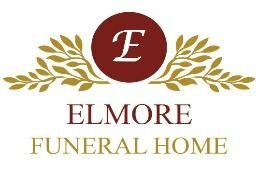 A funeral service will be held at 1:00 p.m., Saturday, April 13, 2019 at Elmore Funeral Home, Moorefield, WV with Pastor Gary Shirk officiating. The family will receive friends two hours prior to the service. Burial will follow at Olivet Cemetery, Moorefield, WV where military graveside rites will be accorded. Memorial donations may be made to Moorefield Lions Club, P. O. Box 452, Moorefield, WV 26836.